You might have created dioramas from shoeboxes in the past but those days seem over now. 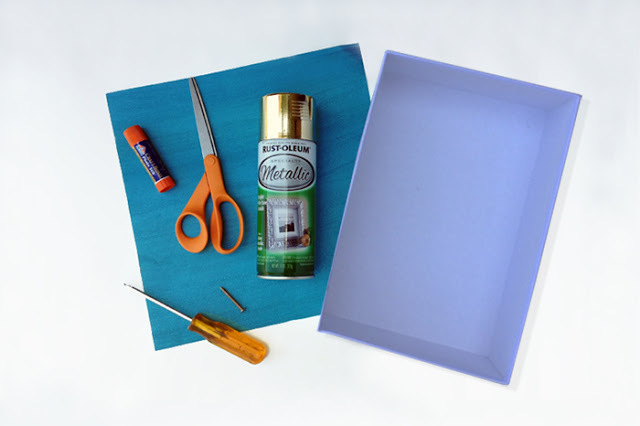 The shoeboxes are still not completely useless because there are many great DIY things you can craft by repurposing empty shoeboxes. 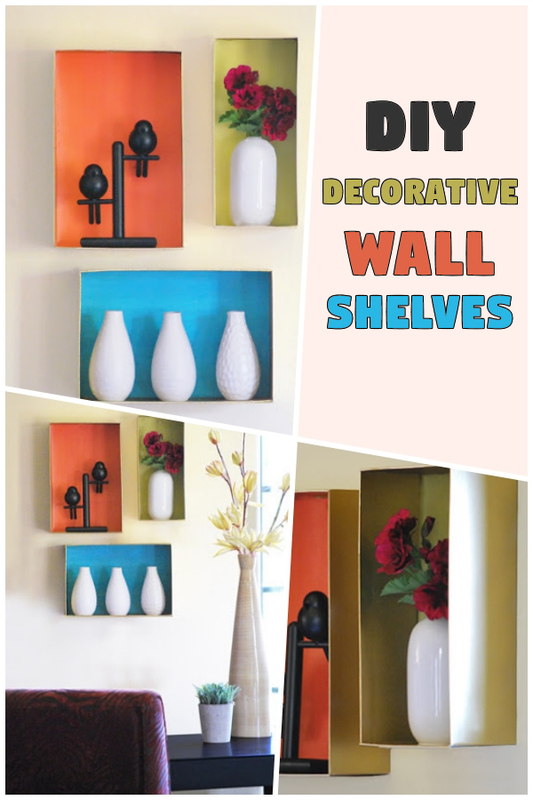 It requires a bit of paint and paper and you can enhance the charm of your walls by adding beautiful shelves made from decorated shoeboxes. These DIY shelves prepared from shoeboxes will be perfect to hold lightweight items, like showpieces. You can use them to display all your favorite items, including trinkets, vases, found objects, and frames. You just need different sized shoeboxes along with some colorful scrap paper to craft a unique display, personalized according to the interior of your home. It is a fairly simple project, so follow this guide and start crafting. Take the measurement of the back wall of the shoebox and then cut the decorative paper in the exact size of the wall. It should fit perfectly inside the wall, so cut right size papers. 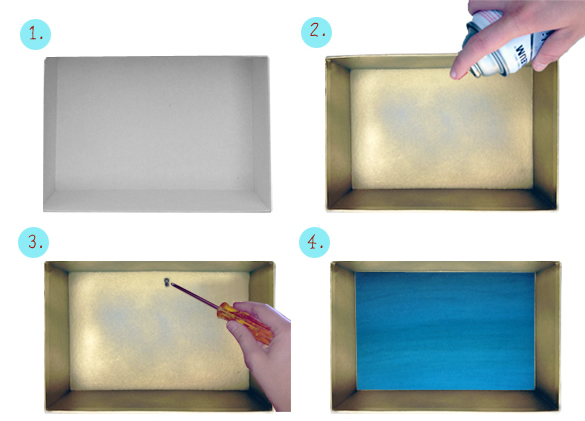 Now pick the spray paint of your choice and start spraying it onto the inner and outer walls of the shoebox. Cover all the logos of the shoebox in that paint. Now let the paint dry and once it is dried, use a screwdriver and nail to attach that shoebox to the wall. You should apply extra screws to ensure the box will hang robustly on the wall and do not fall down in the future. Note: the box will hang longer if you hang it vertically. You can also plan to display some heavier stuff on this shoebox shelve. Now pick the paper and start applying glue on its backside. Glue that decorative paper to inner walls of the box. Glue the paper after hanging the box on the wall because thus you can hide the screws and nails and shelve will look more appealing. Now put your favorite stuff inside this DIY shelve and your job is done. You can use designer paper or plain paper, according to your choice. It will look really beautiful.